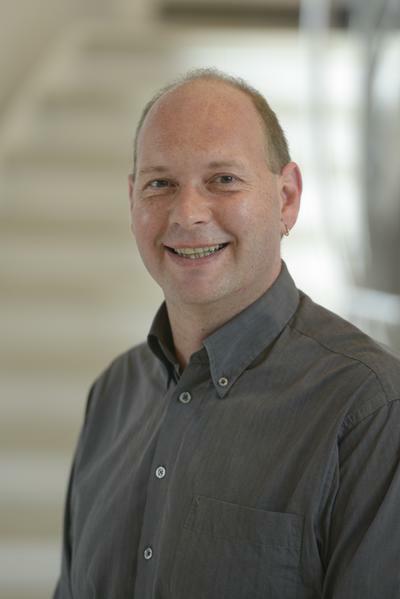 Dr Eugen Stulz is Associate Professor in Bio-organic and Materials Chemistry with a focus on DNA chemistry and nanomaterials for biological/medicinal and energy applications. Eugen Stulz graduated from the University of Bern (Switzerland) in 1994, where he subsequently studied for a Ph.D. under the supervision of Prof. Christian J. Leumann. His thesis was concerned with the evaluation of artificial nucleases based on zirconium(iv) complexes and sponsored from the Basel Chemical Industry. In 1999, he moved to Cambridge (UK) as a Swiss National Science Foundation (SNSF) Postdoctoral fellow to the group of Prof. Jeremy K. M. Sanders, working in the field of supramolecular chemistry and dynamic combinatorial libraries using phosphine-substituted porphyrins. During this time, he also held a part-time teaching position at Anglia Polytechnic University, and an SNSF Advance Research position. In 2003, he moved to the University of Basel (Switzerland) as a Lecturer and started his independent research in the field of DNA bio-nanotechnology. In 2006, he was appointed Lecturer in Chemistry at the University of Southampton, promoted Senior Lecturer in 2010 and Associate Professor in 2014. Eugen has been author of several invited review articles (CEJ; CSR; Acc. Chem. Res. ), invited book chapter contributions (Struct. Bond. ; Porphyrin Handbook), and has been invited editor of a special theme issue on DNA nanotechnology in CSR in 2011. In 2003 he was also awarded the SYNTHESIS/SYNLETT Journal Award by Thieme, Germany. A Wiley book on DNA nanotechnology was published in 2015, which was co-edited with Guido Clever (Dortmund). Eugen Stulz also featured several times in the Swiss Radio (SRF 1), on local TV (ITV Meridian special edition; ITV Meridian News), in professional reviews (KTN; Chem. World; EPSRC Mass Spectrometry Centre Swansea; DLS) and in the Vietnamese press. He has been invited lecturer in Trieste (2013) and invited professor in Bordeaux (2015). Our UG project and PhD students regularly win prizes for their work, most notably the Roscoe Medal at Set for Britain 2010, NanoKTN prize, Merck poster prize, John Mellor project prize, and EPSRC Award for Young Scientists. The work of the UG project students often leads to publications. 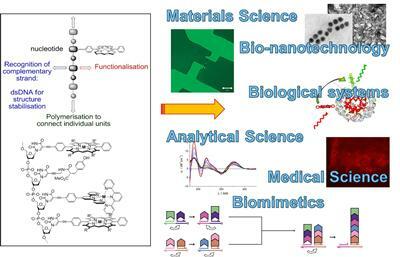 The general research interests in the Stulz group are concerned with supramolecular chemistry, bio-nanotechnology, medicinal chemistry, nanoparticles and microfluidics. We are mainly exploring the use of modified DNA in a number of applications, ranging from electronics over gene expression to novel platform technologies in health care. The research is highly interdisciplinary, and reaches into materials science, nanotechnology, analytical science, and into biological / medicinal sciences. We have reviewed the recent progress in the use of modified DNA in Chem. Soc. Rev. 2011, in Chem. Eur. J. 2012 and in Acc Chem Res 2017. In addition, we are investigating in the synthesis of silver nanoprisms for energy applications. We have shown that Ag-NPs can successfully be embedded in a polymer matrix and coated onto glass windows, thus forming an IR-light blocking layer to create more energy efficient windows. One of our main themes is now to develop 3D-printed flow-through reactors for continuous flow reactor synthesis of Ag-NPs, which can also be applied to other nanoparticles (e.g. liposomes). The costs of a device is now as low as £5. Member of the Institute for Life Sciences. Invited member of the EPSRC Peer Review College. Member of the BBSRC Pool of Experts. Invited member of Diamond Light Source B23 Steering Committee. Invited member of Diamond Light Source Peer Review Panel (Soft Matter). Invited member Editorial Board Cogent Chemistry, Cogent OA Publishers, Taylor & Francis. Grabowska, I., Zborowska, M., Nguyen, N. T., Dehaen, W., Stulz, E., Wood, J. W., ... Radecki, J. (2014). Deposition of Ni(II)Porphyrin monolayer on the gold electrode via azide-alkyne click - coupling and its electrochemical characterization. International Journal of Electochemical Science, 2014(9), 5948-5960. Bouamaied, I., & Stulz, E. (2005). Porphyrin substituted Dinucleotides: Synthesis and Spectroscopy. Chimia, 59(3), 101-104.